Harbin Ice and Snow Festival is one of the largest ice and snow spectaculars in the world. 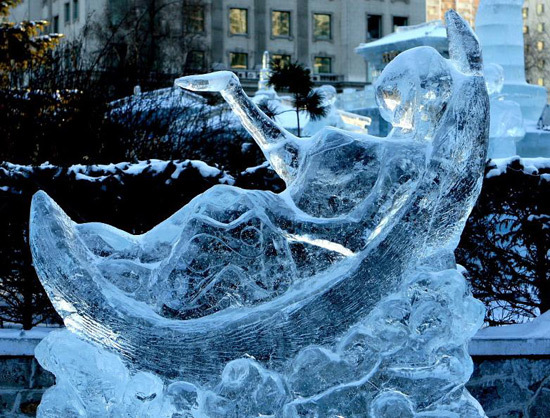 The festival includes ice lantern and sculpture exhibitions. Thousands of ice lanterns, ice carvings and snow sculptures turn the city into a dreamlike world of pure whiteness and gleaming crystal. View the photos from Harbin Winter Vocation Tour. Hello Wtthawadee, thank you for taking time to make a comment on our website. I think it will be not a problem to use a DSLR in a temperature of 30 below zero. My colleague, James Lee who just brought his ordinary digital camerato Harbin on Jan, 2011, it seemed ok for him to take a lot pics. Here are some useful photo tips in Harbin, hope it helps: http://www.chinafacttours.com/harbin/harbin-travel-tips.html; for the one-day trip to go snowboarding, our travel consultants will send you a tentative trip with some suggestions, please don't forget to check your email later. Hello,,, I would like to asking about how to shoot the photo in Harbin (like this picture)? As i know the weather is extreme cold, and it can make battery die faster. Do i have to have some special tool? or DSLR itself will be ok. Is the lens surface will be foggy? What should i do? And as i read in the website,it mention about Ski resort. I really would love to snowboarding. I wondering where is the nearest Ski and Snowboard Resort from this point (Harbin Ice and Snow festival). (I plan to go to Harbin in 24Jan and will stay for about 3 days, but the thing is i will go with the group tour from Thailand. It is possible to buy a tour just one day trip to go snowboarding? ) Thank you so much for your detail, This website is awesome for the tourist!! !